The TRAVEL AGENTS ASSOCIATION OF INDIA (TAAI) represents all that is professional, ethical and dynamic in our nation's travel related activity. 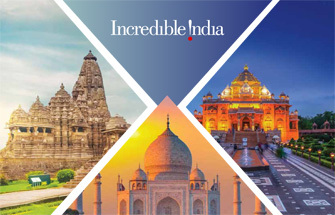 TAAI has been recognized as the voice of the Travel and Tourism Industry in India. Apply superior technical skills to the jobs on hand. Act responsibly within sound financial parameters. Build trust and credibility in the marketplace. In fulfilling its mission and supporting traditional values as well as embracing changes. Widening its area of influence by judiciously delegating authority and responsibility to Regions, Chapters and City Committees. Professional management of its affairs at all levels. A responsive and well equipped Secretariat, which benefits all members. The manner in which TAAI conducts itself on issues of trade principles and practice, will determine its contribution to our industry.